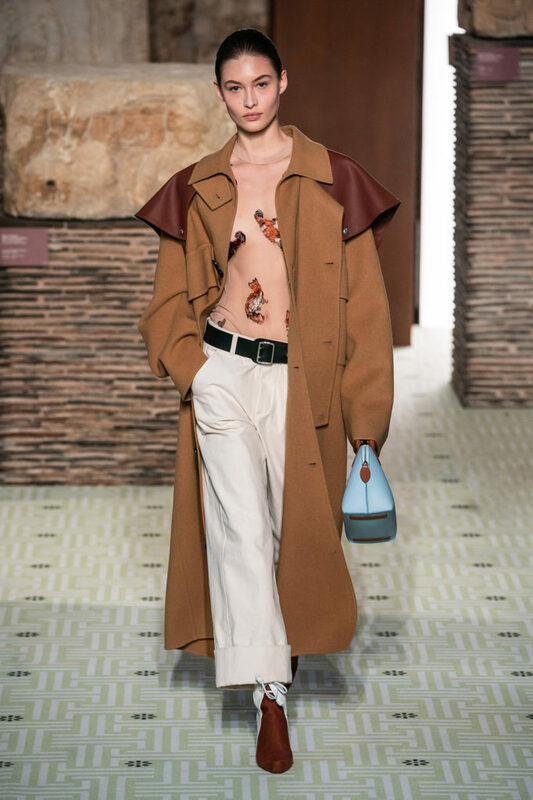 A fresh start of Lanvin finally revealed from the 13th century Musée de Cluny, as the new Creative Director for menswear and womenswear, Bruno Sialelli presented his debut show for fall/winter 19 collection. 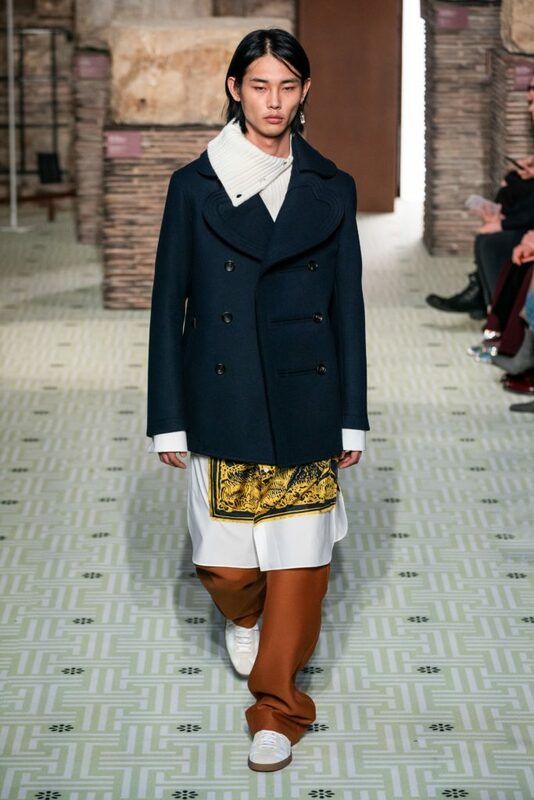 With the theme of Mystic Pilgrims, he portrayed the models with no-makeup looks, sleek hair look, only adorned with unique gold earrings and rings. All attention goes to what the outfits and accessories represent. 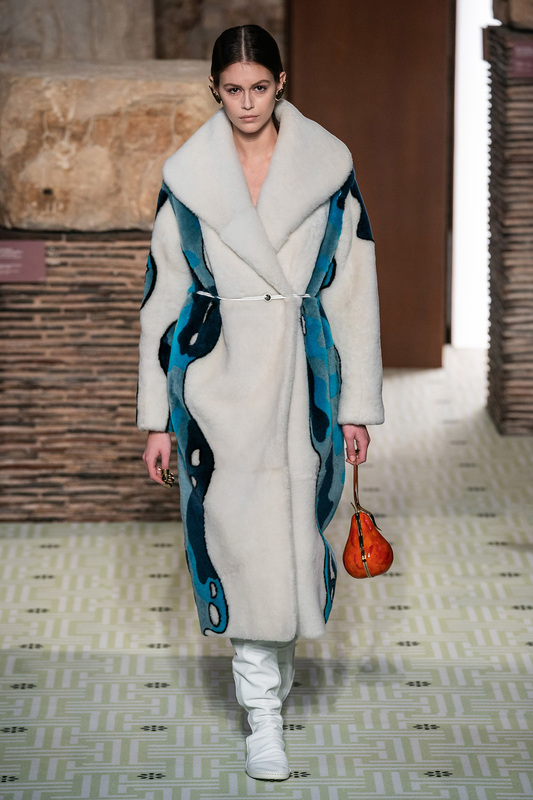 He contemplated on the life and times of Jeanne Lanvin, the founder of Lanvin, as a vital optimism permeates this respectful evolution – acknowledging the maison as a florilegium of creative energy. Embodying a folkloric spirit, the fall/winter 2019 collection roams from the Rue Saint-Honoré to Brest and far beyond, reminiscing upon cinematic and literary personas through history. as Norwegian blankets, exotic Fair Isles, and giant clan tartans swaddle inherently French garments. 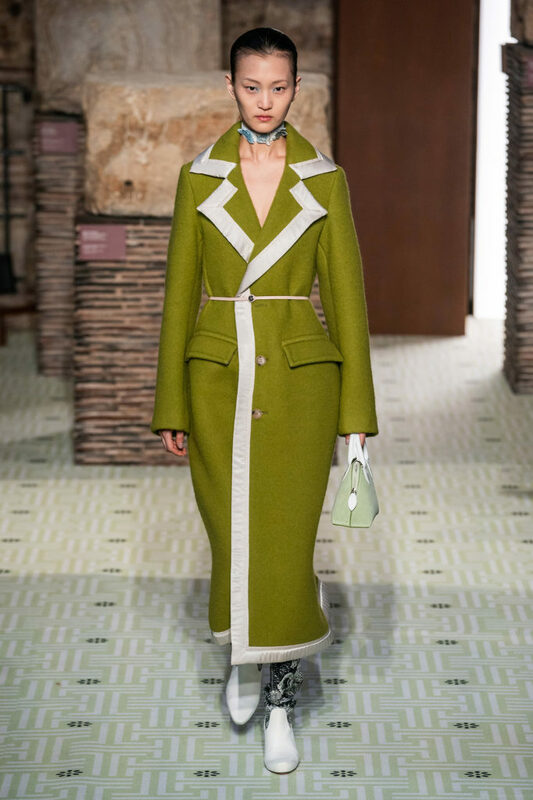 “Whole garment” knits create sinuous volumes shaped in cashmere and lurex, whilst the vareuse from Brittany, the heart-collar caban, zipped blousons and riding coats are rendered in cashmere, gabardine, intarsia shearling or wool gazar. a medieval line, as the scrolling imprint of illuminated manuscripts is writ large across silk twill. Faded Merovingian splendour is woven throughout, from gilded leather amulets and dipped thimble rings to St. George’s dragon resplendent on embroidered velvet. 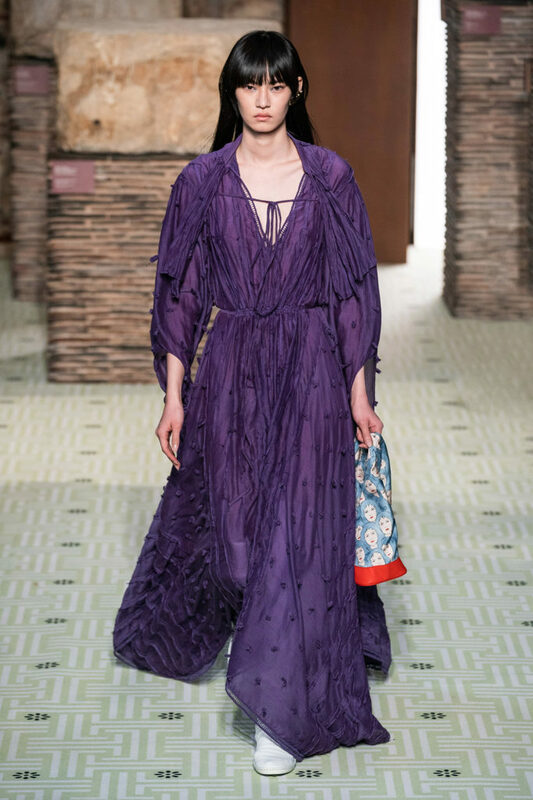 Voluminous kaftan gowns trail with linings inside and out, layered with bands of lace, pleated satin, and portrait print georgette. Lanvin’s muse is embellished with abandon, adorned from head to toe with heraldic charm jewellery and porcelain chokers, fruit minaudières and salome wedges in Viennese metalwork. 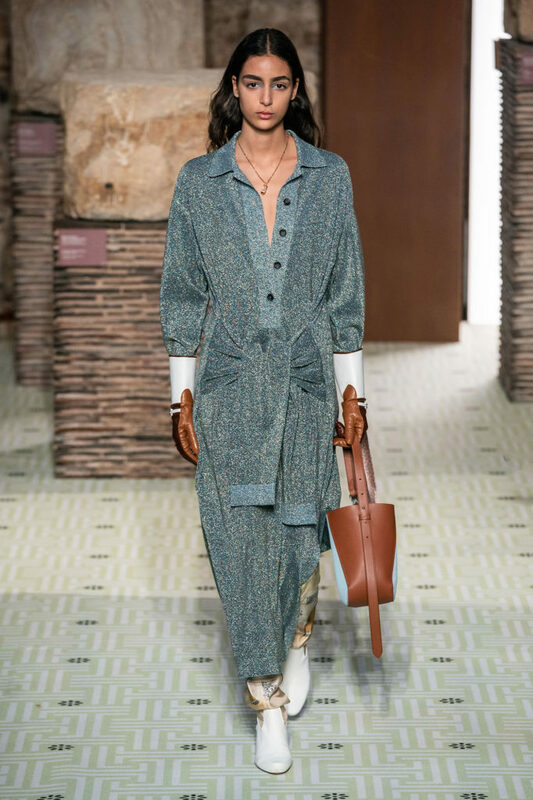 Grounding the season’s mystic vision, satchels, flat totes, and asymmetric bucket bags are crafted in supple suede, canvas and calfskin to match fringed tennis shoes, studded clogs, and moulded moccasin boots. Sialelli also gave a sneak peek of his menswear collection will be. 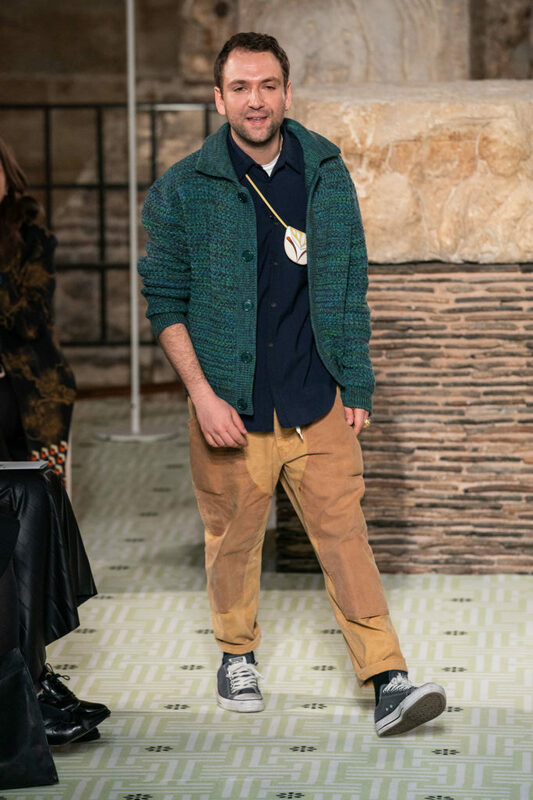 Supporting his idea on breaking the boundaries between menswear and womenswear, he had fun using the same prints and elements from the womenswear collection to add some flair on the men’s tailored pieces.